Tambo’s Wilderness Way is a self-drive tour through an area of rugged beauty. Also referred to as the ‘Rooftop of Queensland’, travellers enjoy stunning views of the surrounds. The tour traverses a landscape of deep gorges and vast cliff lines. Enjoy vistas of tangled ranges where the wind and rain have created massive sandstone formations. The area provides habitat for some unique flora. You can camp or go bushwalking in Salvator Rosa National Park and discover the trickling clear water of Mitchell Springs. 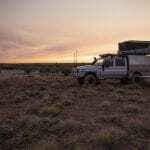 Park up your van in Tambo town and head east on a 4WD adventure. 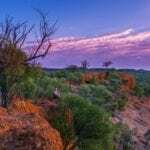 Travel 43 km along the Alpha – Tambo Road, past the Qantas Crash site, town’s historic cemetery and through the town common. 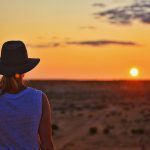 Turning left you travel a further 86kms along the Tambo-Springsure Road, passing amazing vistas and rock formations until you reach the site where Major Thomas Mitchell passed on his way discovering the west back in the 1860s. Approximately half way, this is a great spot to pull up and have a picnic. 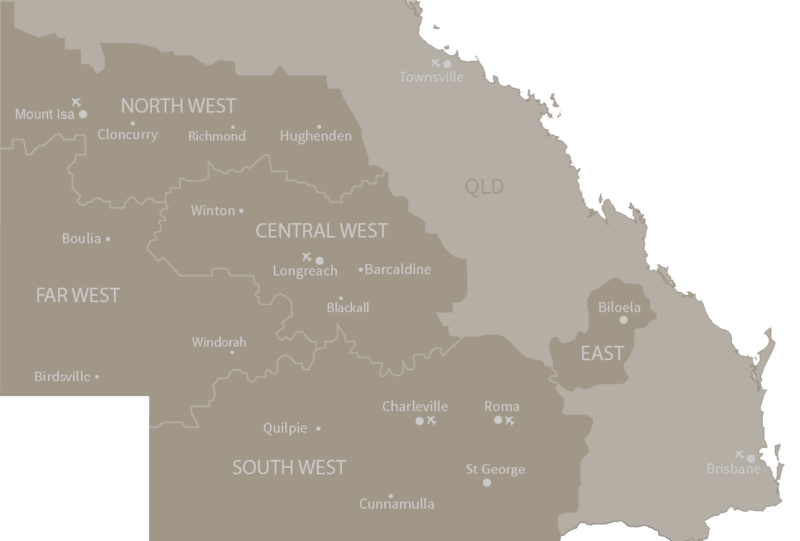 Heading back towards Tambo, you travel through productive grazing country with magnificent views of the rugged sandstone cliffs of the Great Dividing Range. 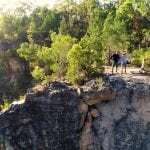 You can take a side track into the Salvator National Park, a great place to camp with bush walks and a spring – fed creek with naturally clear running water and lush flora. The final 95km of the journey takes you back up the range, with views looking back down the deep gorge. Dramatic wildflower displays and spectacular scenery eventually lead you out onto the open downs Mitchell grass country heading back into Tambo.